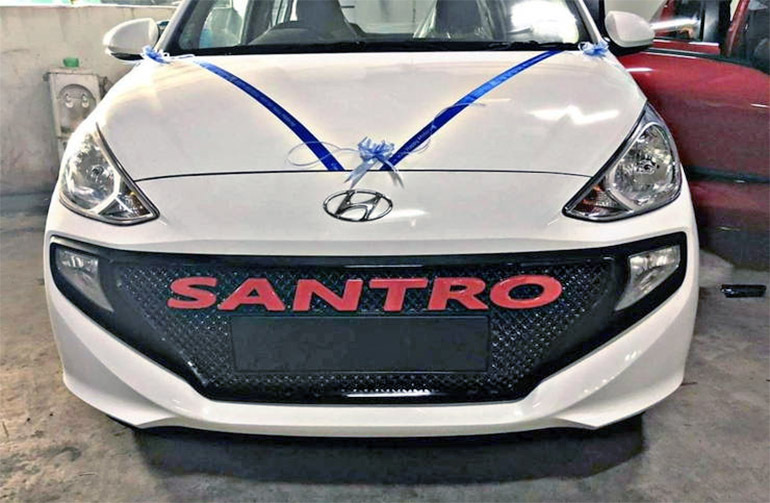 The new Hyundai Santro, launched on 23 October 2018, has been quick with establishing a foothold in the market with some 40,000 bookings. While the car is pretty new, which means owners don't have a wide range of accessories to choose from, details of the first aftermarket add-ons have emerged on Cartoq. The sporty black grille with red branding for the new Hyundai Santro is similar to an unofficial option available for the Ford Endeavour and the Ford EcoSport. Some aftermarket accessories dealers are selling sporty grilles for the new Hyundai Santro. One of these is a black unit with a bold red-coloured branding. This arrangement is similar to an option for the Ford Endeavour and the Ford EcoSport. Basically, the stock grille, which encompasses the fog lamps, has been replaced with a custom unit that features a wire mesh setup instead of the horizontal slats. Another aftermarket grille is a chrome-plated unit with a black-coloured branding. While these grilles are likely to polarise opinions, some might find them useful to jazz up the exterior of the new Santro a fair bit. 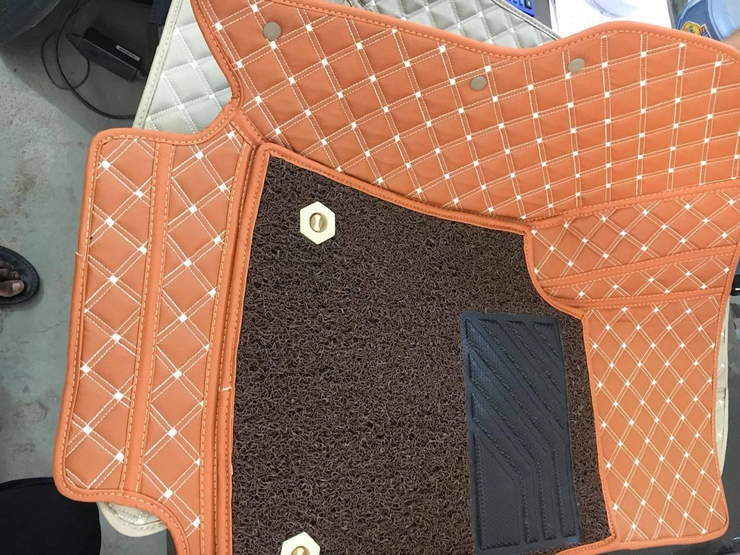 One can also choose from a variety of premium floor mats that can enhance the ambience of the interior. The new Hyundai Santro draws power from a 1.1-litre four-cylinder engine with two fuel options - Petrol and CNG. Both versions come with a 5-speed manual transmission as standard. Additionally, the petrol model is available with an optional 5-speed AMT. The latest-gen Santro is underpinned by the company's K1 architecture, which is a derivative of the Grand i10's BA platform. An aftermarket floor mat for the new Hyundai Santro. Last month, the manufacturer announced the receipt of more than 38,500 bookings and 2,11,000 enquiries for the new Hyundai Santro. It even came to light that the company is facing trouble meeting the overwhelming demand for the latest generation of the favourite tallboy. Hence, it might have to pause bookings to prevent the waiting period from soaring further.